﻿ Hotel Peninsula, Chennai | FROM $22 - SAVE ON AGODA! Have a question for Hotel Peninsula? If what you're looking for is a conveniently located hotel in Chennai, look no further than Hotel Peninsula. Only 0.2 Km from the city center, the hotel's strategic location ensures that guests can quickly and easily reach many local points of interest. 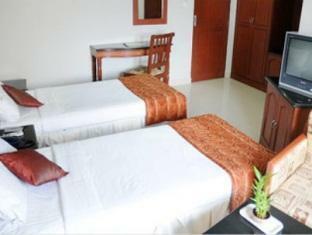 No less exceptional is the hotel's easy access to the city's myriad attractions and landmarks, such as Rajan Eye Care, Semmozhi Poonga Botanical Garden, Valluvar Kottam. The facilities and services provided by Hotel Peninsula ensure a pleasant stay for guests. The hotel provides 24-hour room service, Wi-Fi in public areas, car park, room service, airport transfer to ensure our guests the greatest comfort. All guest accommodations feature thoughtful amenities to ensure an unparalleled sense of comfort. Besides, the hotel's host of recreational offerings ensures you have plenty to do during your stay. Discover an engaging blend of professional service and a wide array of features at Hotel Peninsula. Inspite of getting discounts from agora.com the hotel generates a bill without any discounts. Had to face big time water problem in the bathroom. AC does not work. They say AC works only at night. If you are looking for a decent accomodation for spending a night in the city, this Hotel suits the bill. Despite floor renovation in progress, the room was quiet. 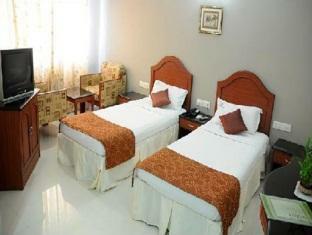 A Deluxe Room is equipped with Air Conditioner (a must in Chennai), a small refrigerator, television. Of course, a bed is also there! The bathroom is clean and spacious. The parking is in open, right at the entrance of the hotel, manned by hotel security. Good eating places like Murugan Idli Shop and Punjabi Dhaba in T. Nagar are very close and so are the market places like Panagal Park and Pondy Bazar. Good stay, satisfied. When i booked this hotel online, it never asked me for number of persons and by default it showed 1 Adult in the confirmation sheet. I did not think much about it even though my wife was travelling with me as i could settle it up with the hotel during check-in. But the receptionist was unbelievably adamant about not allowing my wife in and i checked out within 2 hrs after shouting for half an hour. When i asked for the manager, she said he is out of town in a meeting and cannot talk now. I asked for his contact details which she did not give. All i got was his email id and he obviously did not respond back after i emailed him the situation. Its a pity in terms of customer service and the way they talk to you. She even asked me to pay up when i had already paid online which only enforces the fact how ignorant these guys really are. A horrible experience. Rooms are not ready when we reached there. A/C was not working properly. Lift was not working and we have got room in 4th floor. Don't choose this place. Management is poor responsive.